The amphibious vehicle name Python from the company Watercar holds the Guinness world record of the fastest amphibious vehicle which has a top speed of 125mph on land and water speed of 60mph; 52knots. 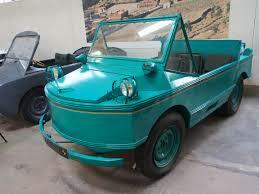 The first attempt was Orukter Amphibolos in 1805 by Oliver Evan in Philadelphia and the car was a steam carriage. In 1883 Mr. Terry an Englishman builds his Amphibious tricycle but when it was into the water its paddle wheel took over and had a sad end of any attempt for around seventy years. In 1894 another invention was made called Beach and Harris Cycle Raft it had twin inflatable pontoons but it was failed attempt. In 1907 Ravailler’s Amphibian was made of cone shape structured car with tires and driven by 20 hp engine on land and by a propeller when in water. 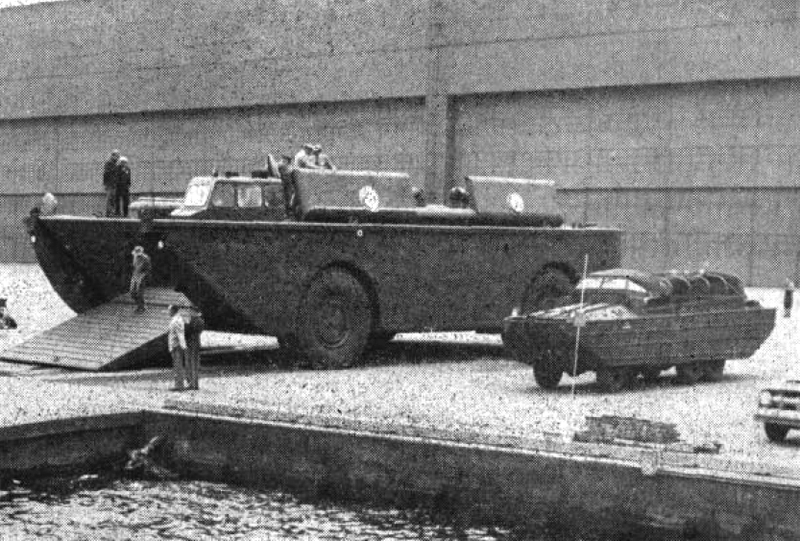 From 1916 military authorities had developed their own amphibious vehicle called the floating 27-ton Mk IX Tank fitted with 75 mm cannon. With the end of the war, other companies such as ford, Bugatti, Chrysler, Porsche had started research and development on the Amphibious vehicle and on 1961 first commercial Amphibious car launched. Car engine to drive the vehicle on land and jet to sail on water. A hull that covers the hood inside which vehicle’s engine sits. Transfer case which will transfer the power from engine to jet or vice verse. Under the hood, it requires a car’s engine and which is covered with hull which provides streamline structure and reduces the drag while on water. Hydraulic retractable wheels which are pulled above to reduce drag. The vehicle was driven by the engine on land and when on water the power is transfer to jet through the transfer case. The accumulation of additional water in the bottom is removed by a pair of bilge pump one under engine another one under the front hood. During reverse nozzle on a water, jet moves downward. Unless an until tub didn’t get into the water vehicle should displace enough to float. Then you need a motor to drive into the water – so a water jet and propeller will do the work. The hull should be streamlined and should have minimal drag which might give an odd shape to a car. The wheels of the car should have a retractable mechanism so as to minimize the drag created by when on water. All the components of drive mechanism like drive shaft openings, exhaust and intake should keep dry and well sealed. The car must be watertight. During on land, propeller should be protected from the road. Steering mechanism acts differently on water and land so it should be designed in such a way so as to worked on both conditions.